tutorial|How to View Product Type? How to View Product Type? Download and install the latest 3uTools. Connect your device to the PC and Open 3uTools. 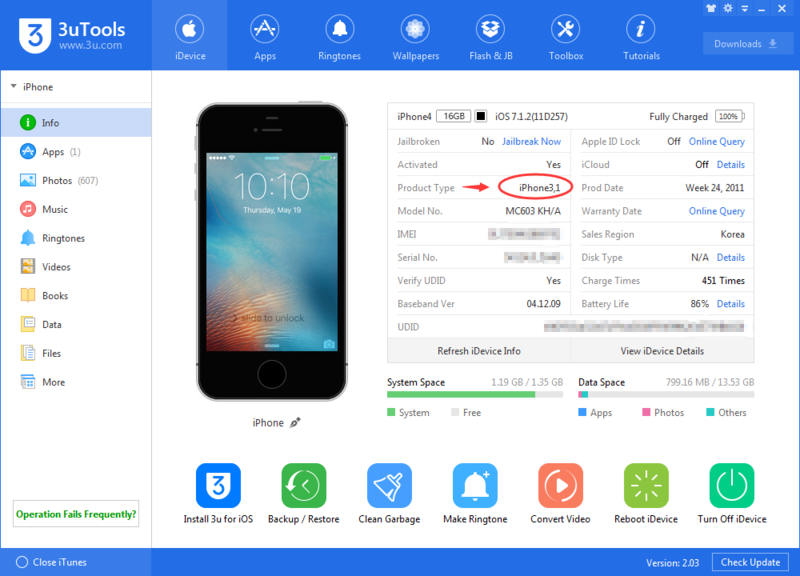 Click “iDevice”, you will see as below, the product type is circled in red. Now you could download firmware based on your product type.